For courses in English and Writing. This package includes Pearson Writer. 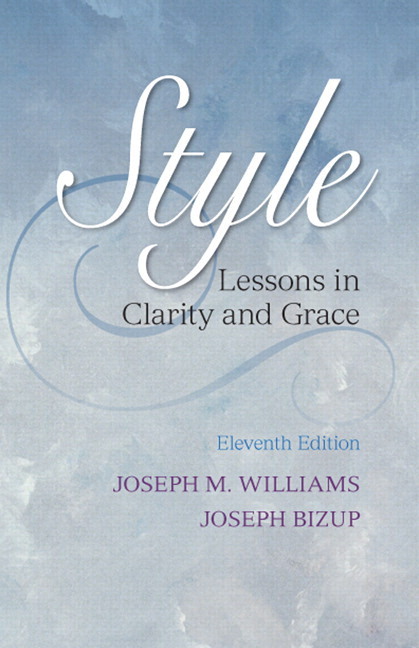 Style: Lessons in Clarity and Grace asserts that style is a matter of making informed choices in the service of one’s readers. While writers know best what they want to say, readers ultimately decide if they’ve said it well. This long-established and highly respected text builds on that premise, with up-to-date advice on gender-neutral writing and writing for global audiences. It brings the authors’ innovative approach to the needs of today’s students, while maintaining that writing with style is a civic and ethical virtue. Pearson Writer makes it easy to stay organized, track tasks, and stay on top of writing projects. Students can set milestones prior to the due date, manage their sources, organize their notes visually in the Notebook, and even get automatic feedback on their prose. 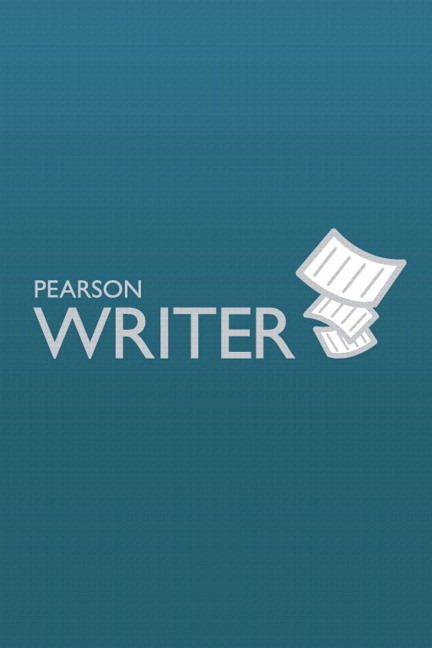 Pearson Writer is now available with Noteclipper, which allows students to save online source quickly and easily. Writing, Grammar, and Research Guide is a go-to resource any time students have a question or need help. Automatic Writing Review checks prose for possible spelling, grammar, and style errors, while offering grammar lessons and suggestions for revising and editing. Citation Generator keeps track of every source throughout students’ research process and builds a bibliography in the background, taking care of those formatting details. Research Database and NoteClipper make searching for and managing source materials easier. Project Manager and Notebook help students stay on top of multiple projects and make organizing ideas and sources less cumbersome. What is it in a sentence that makes readers judge it as they do? How do we diagnose our own prose to anticipate their judgments? How do we revise a sentence so that readers will think better of it? NEW! 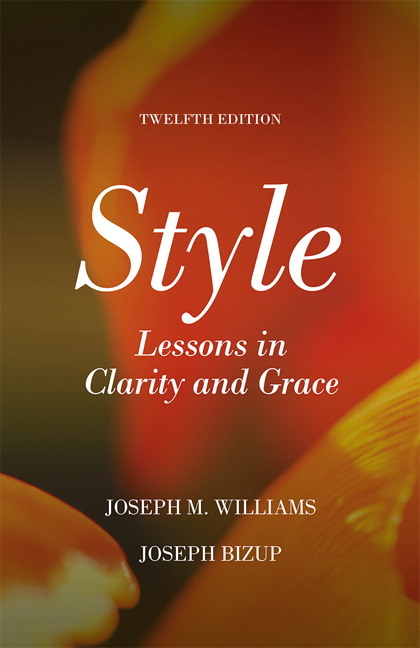 Matters of style are identified clearly, making it clear when certain lessons pertain to more academic or professional writing. UPDATED! All exercises, examples, and explanations have been changed to cater to a more global audience and shift away from an American-centric perspective, while maintaining the core objective that good style is an ethical and civic virtue. NEW! Lesson 2 on pronouns and gender-neutral language has been rewritten to focus less on the now universally understood issue of gender-biased language. Instead, it gives writers more options for writing in a gender-neutral style. NEW! Lesson 4 discusses metadiscourse in greater detail, giving writers better tools to use this voice. NEW! The discussion of sources in Appendix II has been rewritten to focus more on the stylistic effects of different ways of summarizing, paraphrasing, and quoting, rather than plagiarism and the methods of citation. The discussion conveys that revision isn’t limited to simply editing, but that it is a process that involves thinking, planning, drafting, and revising. Terms used to discuss revision have been changed throughout to foster the idea that revising isn’t just identifying and fixing problems, but a process of understanding and assessing options. An Ethical Analysis of the Declaration of Independence demonstrates how good writers manipulate language to influence our response to their writing. Chapter features like Quick Tips, Common Errors, Hallmark Diagrams, and Here’s the Point provide easy-to-read guidance. Quick Tips offer brief summaries of important information throughout the text. Common Errors list in Lesson Two offers readers a quick reference of mistakes to look out for in their own writing. UPDATED! The hallmark diagrams that illustrate the principles of style now include more detailed explanations in lessons 3-6. Here’s The Point summaries provide quick and easy reviews of core concepts. Exercises throughout encourage students to work together to understand key material. A wealth of Epigrams provide witty support for text material throughout. Matters of style are now identified clearly, making it clear when certain lessons pertain to more academic or professional writing. Lesson 2 on pronouns and gender-neutral language has been rewritten to focus less on the now universally understood issue of gender-biased language. Instead, it gives writers more options for writing in a gender-neutral style. Lesson 4 discusses metadiscourse in greater detail, giving writers better tools to use this voice. The discussion of sources in Appendix II has been rewritten to focus more on the stylistic effects of different ways of summarizing, paraphrasing, and quoting, rather than plagiarism and the methods of citation. All exercises, examples, and explanations have been changed to cater to a more global audience and shift away from an American-centric perspective, while maintaining the core objective that good style is an ethical and civic virtue. The hallmark diagrams that illustrate the principles of style now include more detailed explanations in lessons 3-6.